The open source nature of Android is one of the many reasons why it is so popular now. Android has seen an explosive growth of devices and users. Many manufacturers from big names like Samsung to a small manufacturer from China produce devices with Android pre-installed. The devices are not just limited to phones and tablet. 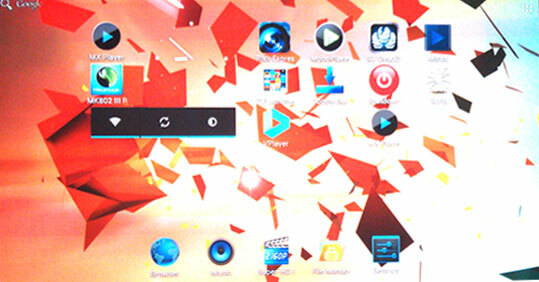 These days, Android also powers gaming consoles and televisions. One of the interesting use of Android is to power dongles which allow us to run Android on our TV screens. Most of the TV screens these days, whether they are LED, LCD or Plasma, have an HDMI port which can be used to transfer high definition audio and video. The Android Dongles also known as Android PC sticks make use of such HDMI ports to run this operating system on the big screen. It is pretty interesting even to imagine a 40 inch screen running a mobile operating system capable of running apps and games. Playing games like Angry Birds and using Facebook on the big TV screens is taking it to the next level. We kind find many Android PC Sticks in the market. You can easily get one of these at less than 100 USDs. The PC stick that started it all was the Android MINI PC MK802 produced by a Chinese company called Rikomagic. MK802 is an Android device which looks like a USB drive. We are going to talk about this PC Stick in this post. 1) Get an Android PC Stick. We got hold of this Android MINI PC MK802. Currently the product is marked at $37.45 at Amazon. 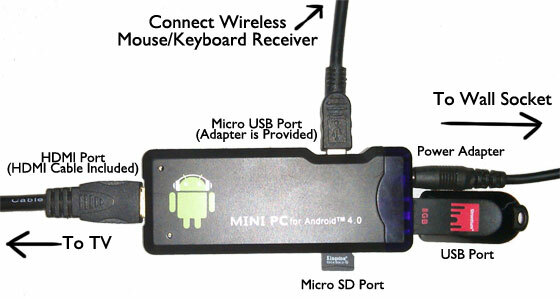 2) Power and Connect MK802 (or any other PC stick) with your TV using the mini HDMI cable that comes along with this product. 3) Connect the power cable to the wall socket to power the PC stick. 4) Select the option in your television that says to output from the connected HDMI slot. 5) You can see android booting up on your television. 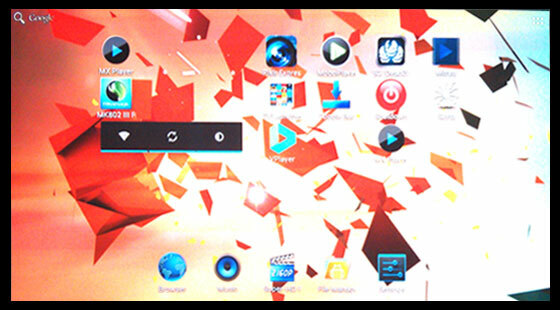 It is to be noted that the MK802 is just a basic PC stick with Android 4.0 and 1.0 Ghz Processor. It is good for watching videos and movies, playing simple games like Angry Birds and using apps such as Facebook. It is not good for running apps that depend heavily upon screen tilt action as tilting your television screen won't do anything. This PC stick also requires an external 2.4 Ghz Mouse and Keyboard if you want to use their functions. Once you get this device running you will be easily able to play video formats not supported by a TV with subtitles and use internet in your television with wifi of the PC stick. If you need higher end Android hardwares you can try the newer versions such as MK802 IV with Android 4.2, a Quad core processor and 2 GB DDR3 memory.